May 17, 2018 – I recently completed Reconciliation Through Indigenous Education, a free Massive Open Online Course commendably delivered by UBC Professor Jan Hare of the Faculty of Education and her team. I found the course remarkable for the amount of Indigenous history, cultural practices, and worldviews it covered. But to truly appreciate the importance of this course to me, let me first explain my story, which may resonate with other non-Indigenous people. I immigrated to Vancouver as a child in the mid-90’s. During my K-12 years, my education about Indigenous peoples included modules on Haida art, the fur trade, smallpox deaths, and the Métis Red River Rebellion. In other words, not much. But the problem with this education, as I see it now, was that it framed Indigenous peoples’ experiences in a historical context, not a continuous narrative into the present. This was a form of erasure, where it was insidiously impressed upon me that Indigenous realities weren’t an ongoing concern. Later, as a UBC student in the mid-2000s, this practice continued through institutional silence, in that none of my undergraduate courses in Sciences or Arts mentioned Indigenous people or cultures, and the institution seemingly gave scant visibility to Indigenous-led initiatives. This pattern of ignorance abruptly ended while I was in graduate school at UBC, when a friend of Mi’kmaq ancestry invited me to a screening of a 2009 documentary called Experimental Eskimos, a troubling account about three Inuit boys in the 1960s who were placed with white families as part of a government social engineering experiment. In discussing the film afterwards, I was hearing words I had never heard before: 60s Scoop, Indian residential schools and other terms associated with Canada’s history of colonialism. These were words I was hearing for the first time in my early-20s, which made me realize how little I knew about Indigenous people and how silent the education system was in regard to them. I also quickly realized I needed to be educated on the original peoples of this land. The need for this education, especially in higher education, was recently highlighted for all non-Indigenous people when UBC President Santa Ono delivered a statement of apology at the opening of the Indian Residential School History and Dialogue Centre. In his apology to survivors of the schools, Dr. Ono recognized UBC’s complicity in the silence and inaction toward the residential school system, specifically its existence, devastating results, and supporting ideologies. This resonated with me because I recognized and experienced this silence as a UBC student, which I perpetuated in my own circles due to my ignorance. I am now a UBC faculty member. I am also a “settler” on Musqueam traditional land who benefits from a system of oppression that among other things allowed for the establishment of residential schools. Thus, I feel it is my moral duty to share the responsibility for this reality and to help break the silence surrounding it, be it on this campus or beyond. Just as the opening of the new centre is breaking that silence at the institutional level, my part is to continue a lifelong journey of education and engagement on Indigenous issues, and to share what I learn in my classroom. In that regard, last fall I took in a session offered by the university’s Centre for Teaching, Learning and Technology, Indigenous Initiatives, which engages faculty on how to appropriately introduce Indigenous content into their classrooms. The facilitators, Amy Perreault and Janey Lew, were very effective at supporting learners on similar journeys, and really helped me get started on mine. All of which brings me back to Dr. Hare’s course, which, while no cure-all for people like myself who had little knowledge of Indigenous peoples, is a great starting point. The course guides learners through the perspectives of Indigenous people in Canada, the U.S., and Australia and on the subject of reconciliation. It highlights the centrality of education to meaningful reconciliation, beginning with a discussion on its definition. It also challenges learners to confront the historical realities of Indian residential schools, including intergenerational impacts into the present. Throughout the course, learners hear compelling accounts from adult survivors of the schools on the trauma they experienced as children, and witness the pain on the faces of their own children. They also learn about the resilience and strength of Indigenous elders and youth fighting for change, empowerment, and recognition. In taking the course, I found myself part of a community of learners who wanted to realize reconciliation, all the while sharing similar fears and ambitions in wanting to make it happen. These commonalities motivated the group, and prompted me to commit to introducing Indigenous issues into my classes, particularly with the help of Indigenous community members on and off campus. Ultimately, the course empowers learners. It provides the language to articulate issues related to Indigenous peoples worldwide, and imparts an appreciation of their histories, traditions, and remarkable strengths. Moreover, it facilitates personal growth and development, particularly for those with little prior exposure to Indigenous realities. What’s more, incredibly, it costs nothing to take but time and energy to become a better citizen and contribute to the unrealized potential of this country. 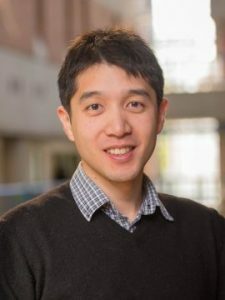 Dr. Benjamin Cheung is a lecturer in the Department of Psychology at UBC. In 2014, he was awarded the UBC Killam Graduate Teaching Assistant Award for his teaching excellence. Learn more about Dr. Cheung.